The Drummer Pete Keeps a Steady Beat Song teaches students to keep a beat by playing along with the MP3 or the Video. 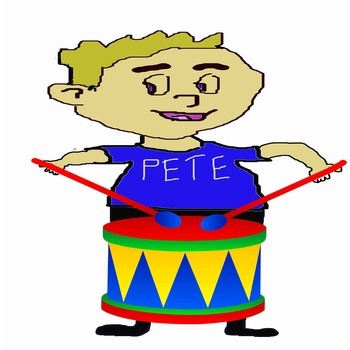 Kids will love playing along with Drummer Pete. The Steady Beat Worksheet gives 10 examples of steady or not steady beat. There is a worksheet that you can use if you desire to use it with your students. Two different MP3's that go with this worksheet. 1) the audio gives the answers 2) the audio does not have the answers. The video that goes with the worksheet gives the answers on the screen and audio.